A hip contemporary combo from Queens – but one who get a great sort of indie soul vibe to their music! 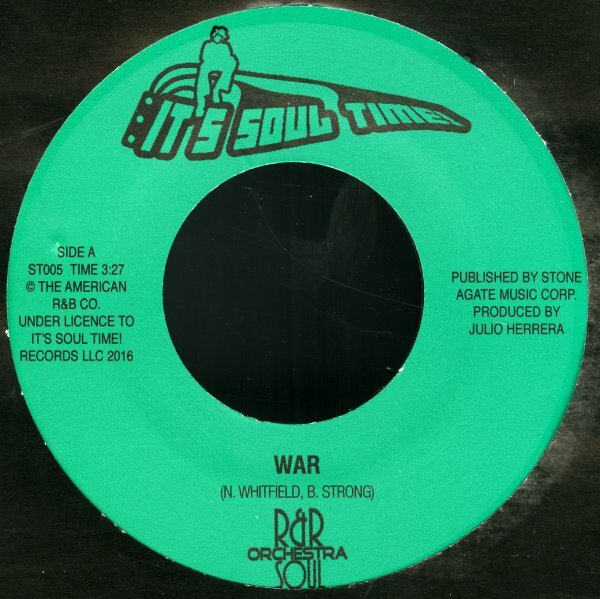 The style is less the deep funk of other recent groups, than the sort of east coast sound from the pre-disco years – as the R&R Soul Orchestra leap into a wonderful upbeat reading of Edwin Starr's "War", with a bit of gliding strings over the grooves – and great group interplay on the vocals! The flipside's an original tune – one with a sweet riffing rhythm that almost feels like Roy Ayers on late 70s Polydor, but with a female vocal in the lead! © 1996-2019, Dusty Groove, Inc.